Plain and Simple Quilt Shop is creating a community of quilters in Apex, North Carolina. Classes are held in one of the four farmhouse rooms. Classroom size is small, which means that the student-teacher ration is always low. 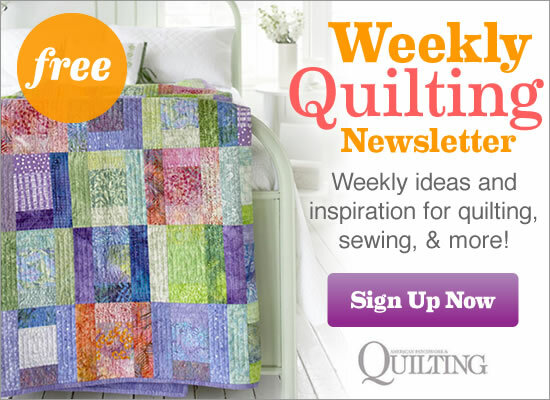 Elegant But Easy, a quilt made using precut 2-1/2” strips, is one of the classes offered. Front row, from left to right: Tom Reilly, Sharon Reilly, Linda McDermott, Kathy Moore, Laura Lapp, and Teri Berrier; second row: Jeannette Sites, Ann Waterman, Jennifer Grover, and Linda Kay Stone; third row: Sara Schmitt, Elizabeth Povse, Kim Mohr, and Corinne Kerns. Not pictured: Barbara Becker. Shelves at Plain and Simple Quilt Shop are brimming with textiles and samples, including over-dyed wools from two local artists. Baskets, shelves, and cabinets host the fabric bolts, precut fabric, quilt samples, and patterns at Plain and Simple Quilt Shop. Displays throughout the shop create a homey atmosphere and provide creative inspiration. Sharon’s mission is to make the shop a big part of the Apex community so people feel they belong. “Owning this shop fulfills my need to give back to the community and to create a place where people can come to talk, to laugh, and sometime to cry,” she says. Garden scenes of the past are outlined in the center of each block of Times Remembered. Shop owner Sharon Reilly designed Times Remembered for Quilt Sampler magazine. Each scene was echo-quilted with gentle curves to mirror the embroidery details. Instead of embroidery, quilt tester Laura Boehnke showcased fussy-cut nature scenes from Holly Taylor’s Lakeside Resort collection for Moda Fabrics in the framed panels of the Times Remembered color option. Contact Plain and Simple Quilt Shop to purchase a copy of the Spring/Summer 2010 issue of Quilt Sampler. Issues are also available at your local quilt shop, on newsstands, and online.